Belle Grove is a small community of large raised beach houses located off 7th Avenue South in the Ocean Drive section of North Myrtle Beach. It's about half-way between Hwy 17 and Ocean Blvd, in an area where riding golf carts is the way to run your errands. Some of the homes have private pools in the back yard. The homes are colorful 2-story wood frames, with four and five bedrooms, small yards, and no HOA fees. 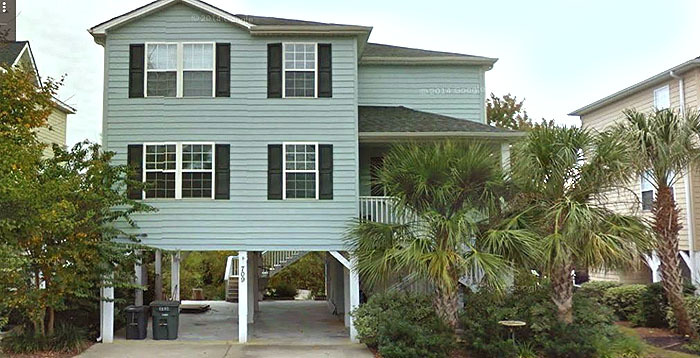 Perfect for vacation rentals or a homeplace, the neighborhood is quiet, in a safe location, and convenient to everything from Main Street to Barefoot Landing. Most have all the upgrades like granite countertops, stainless steel appliances, hardwood floors, and ceiling fans. Kids will attend Ocean Drive Elementary, North Myrtle Beach Middle, and High School. Utilities are underground as are most of Ocean Drive's neighborhoods. The homes have expansive front porches and huge driveways with room for a boat or RV to be parked. Some have parking under the house, and others have up to 3-car garages. The community was developed around 2005, and prices range from the mid-$300,000's to near $400,000. If you want a home without an HOA that's close to the beach in a great location, you need to see these pretty beach cottages. 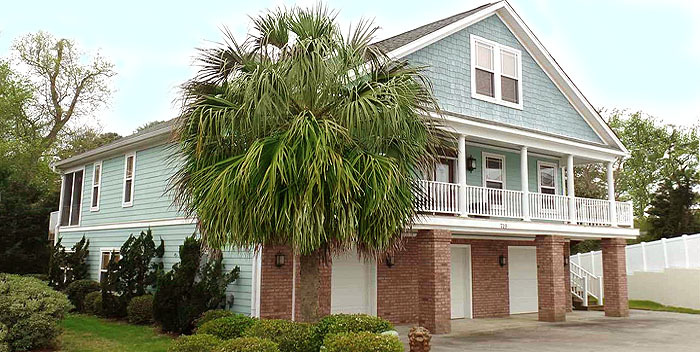 Let us show you what North Myrtle Beach real estate has to offer!